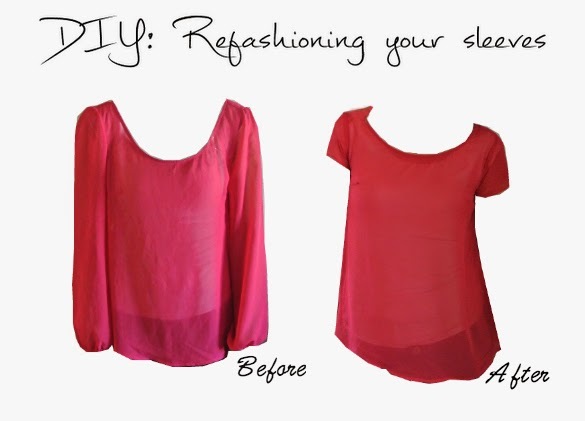 I’m pretty sure the only reason why I bought the blouse in this refashion is that it is both pink, and chiffon–two things I have always loved. The problem was that I never loved the fit of the blouse. The sleeves were particularly an issue. Luckily, that is an easy fix. 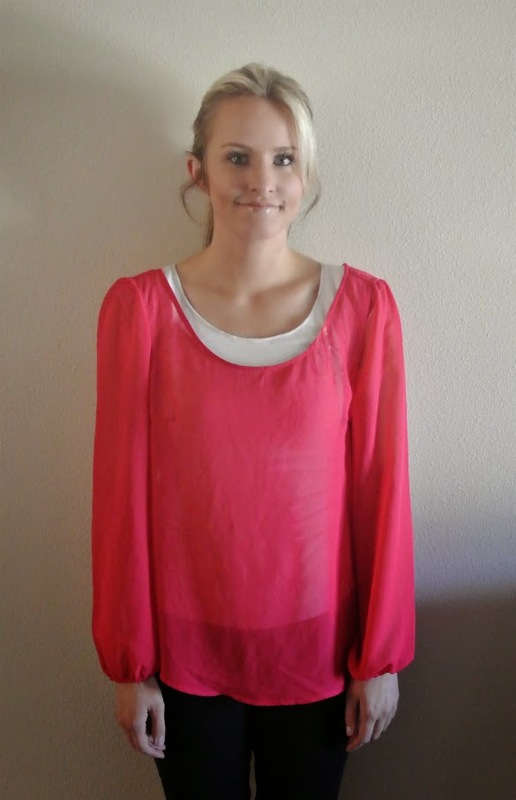 Beyond the sleeves, I also took in the sides, and raised the neckline. Because the original sleeve was so wide, I couldn’t simply cut the sleeves and sew a hem. They needed to be completely redone. 1. 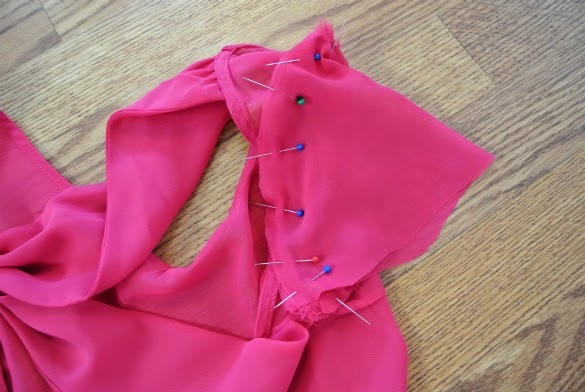 Remove sleeve from bodice using a seam ripper. 2. 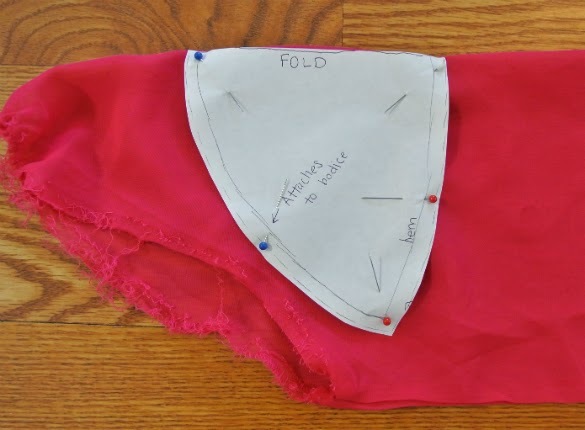 Use the arm hole of the bodice to create a pattern for new sleeves. 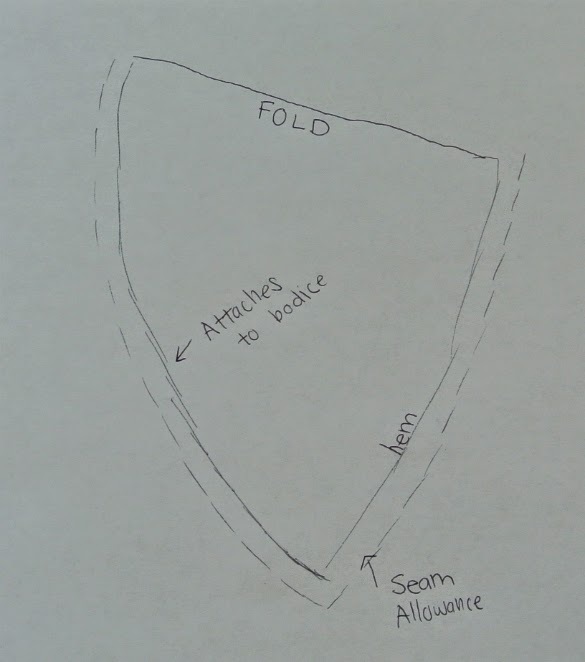 I used the bodice to help me draft the correct size and style for the new sleeve. 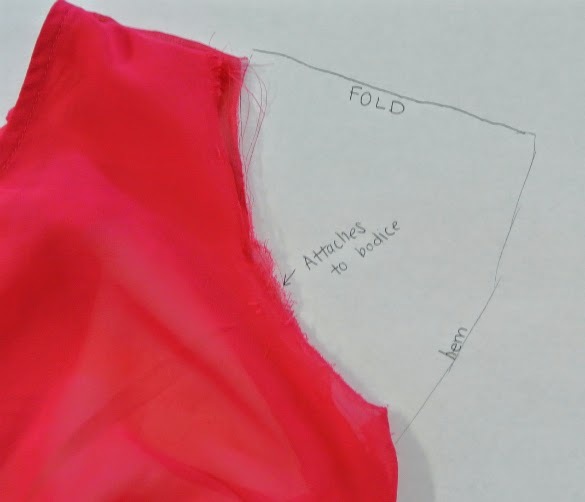 Where it says “fold” is where the pattern will be placed on folded fabric. Note that I traced the curve of the armpit area so the sleeve would fit properly. I compared some similar shirts to help me determine what kind of a sleeve would work both with the style of the blouse and the behavior of the fabric. I decided to go with a subtle cap-sleeve. The pattern ready to be cut. Note the extra space added for the seam allowance. 3. 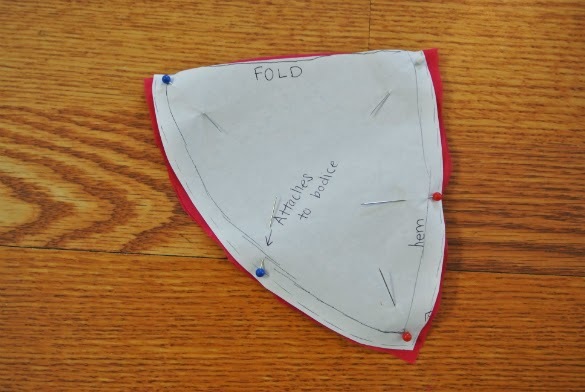 Cut out new pattern piece and use to cut fabric from original sleeve. Original sleeve about to be trimmed into new sleeve. Original sleeve trimmed down to new size. 4. Pin new sleeve onto bodice, check that it will fit properly. The new sleeve pinned to the blouse. Attach sleeve, and hem edges. These sleeves are so much better! 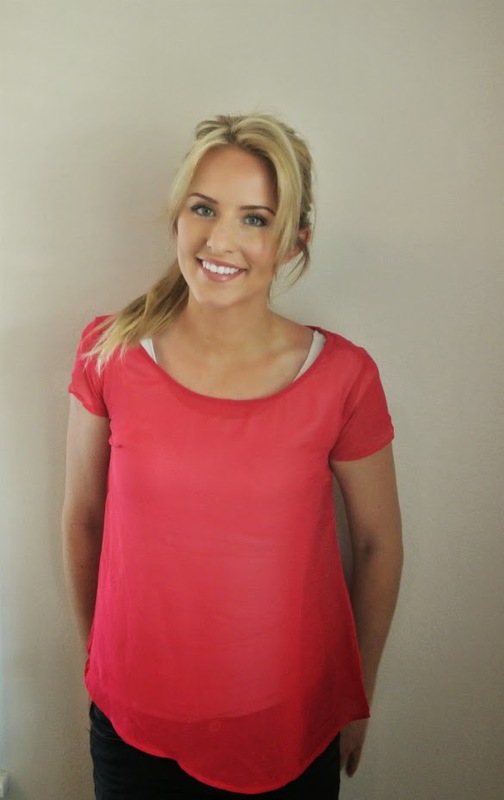 My shirt is no longer available, but here are some of my other favorite pink chiffon looks.